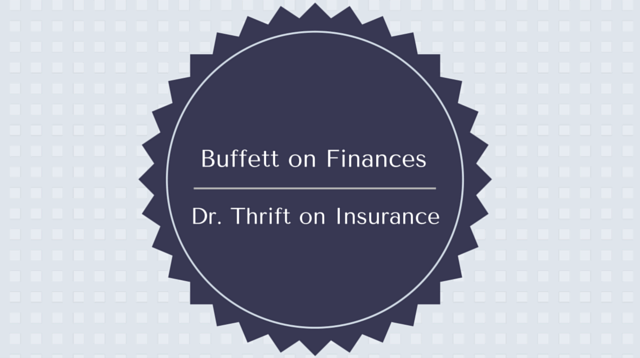 In this installment, I start off sharing this article that contains 18 items or quotes from Warren Buffett about how we should manage our finances. I found these to be spot on so I thought I would share them with the audience. I then spend the last half of the installment teaching a few basic ideas associated with insurance in general. This portion was meant as an introduction into insurance and lays the foundation for the next few installments.